Steam sticky rice is one of the traditional food in Vietnam. In past, it was considered as an important dish in royal meal for King. Nowadays, it has become more and more popular in public. It is made from sticky rice- a particular kind of rice in Vietnam. The way of how to make it is quite simple, but it requires many skills of makers. Firstly, people soak rice in about 8 hours, then steam it. Besides rice, they can add some pudding such as black bean, green bean, peanut, coconut, corn and so on. Each kind of pudding will create a different kind of steam sticky rice. 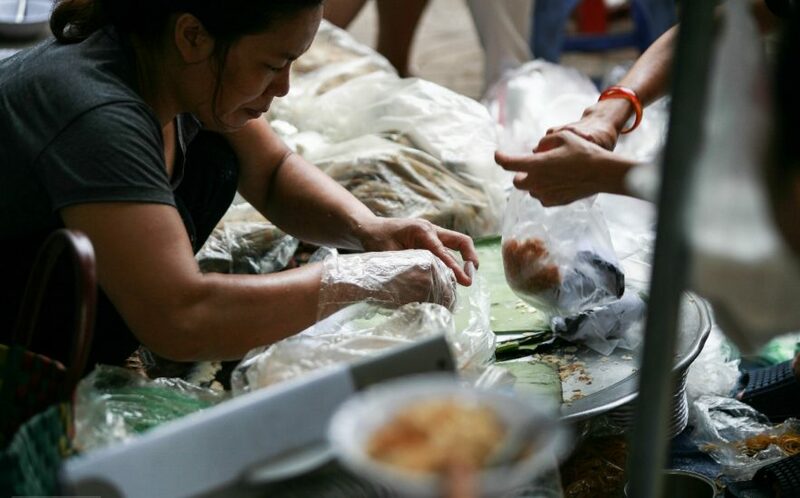 After the sticky rice is fine, they usually wrap it into a banana leaf or lotus leaf. These leaves will bring its flavor to rice. When eating, you can smell clearly. Pho is very well- known to foreign tourists. It can be said that almost foreign tourists coming to Vietnam has heard about this kind of dish. The main ingredient of Pho is rice noodle. There are a lot of kind of Pho in Hanoi such as Pho with beef, Pho with chicken and so on. Each of them has its own taste which can attract you so much. 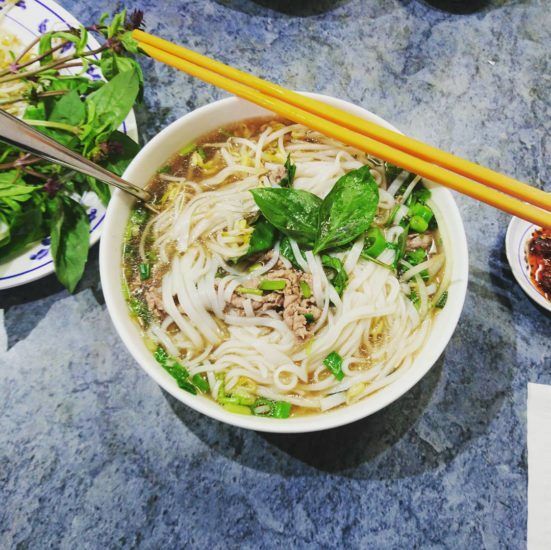 At breakfast, a bowl of Pho is really an ideal choice. Pho Thin is one of the most famous addresses in Hanoi for more than 30 years. 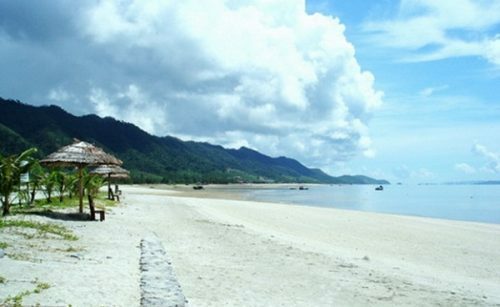 Being located at 13 Lo Duc street, this is really a wonderful destination. The sauce of Pho here is very delicious. 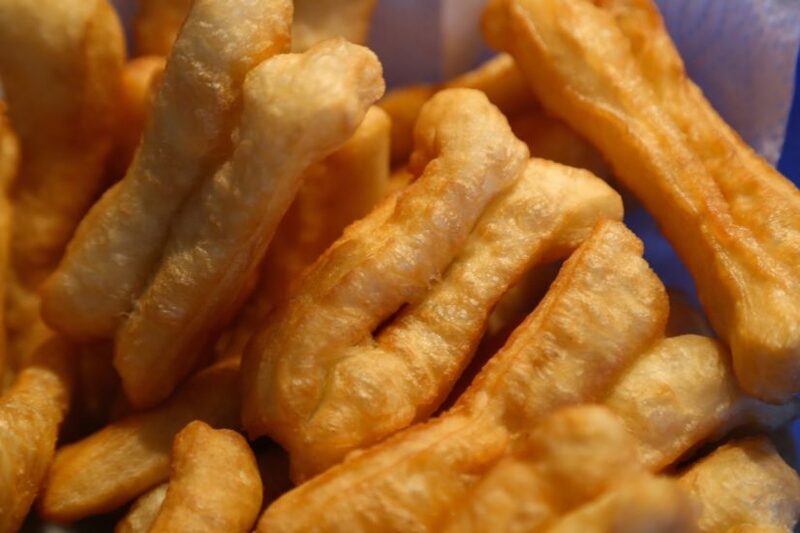 Besides, beef is also fried uniquely under high temperature, which makes beef sweet, fragrant and fine. When eating Pho, don’t forget to add some kinds of spice such as pepper, lemon and so on. In particular, Quay is also the highlights of Pho in Pho Thin. Let’s try it at breakfast in Hanoi! Banh My is also a famous dish in Hanoi. 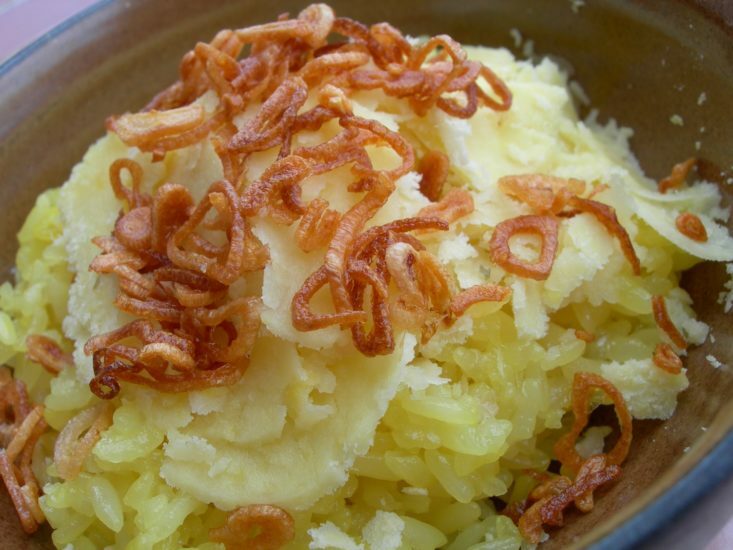 Many food magazines have voted Banh My as one of the most attractive food in the world. The bread is crunchy. The chef put some kinds of filling into it, which creates a delicious Banh My. The main ingredients of Banh My can be grilled pork, pate, egg, hotdog, cucumber, carrot, herb and so on. In particular, they can add some sauce to make Banh My more special. Having chance to visit Hanoi, you shouldn’t miss Banh My. Steamed sticky rice, Pho and Banh My are ideal choices for your breakfast in Hanoi. 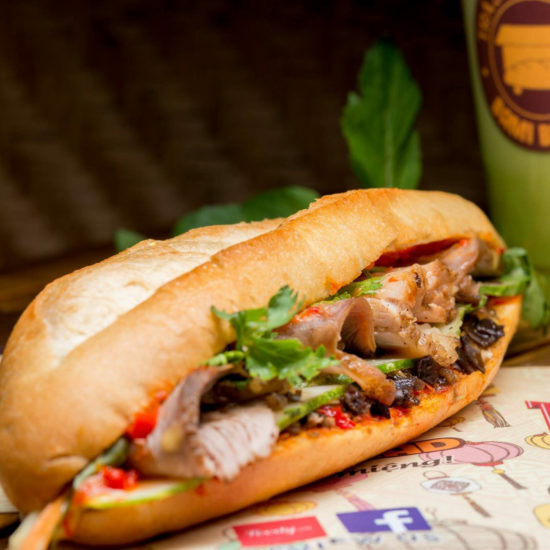 This is a great way for you to enjoy delicious food as well as learn more about Hanoi’s cuisine. Moreover, it is also economical. The price can be from 10,000 Vietnam dong to 40,000 Vietnam dong. Hope that you will have wonderful breakfast in Hanoi!